Most people’s conception of a space suit is the one formed by the iconic pictures of the Apollo astronauts on the Moon and the Space Shuttle astronauts doing EVA (extra-vehicular activities) in orbit: a very bulky, unwieldy garment that restricts the movement of the wearer beyond what would normally be expected in a low/zero-g environment. Unlike a lot of popular conceptions about science, this one is actually mostly right. Space suits do restrict the movement of the wearer. But they don’t do it because they’re particularly bulky or massive. Quite the opposite, in fact — they do it because they’re full of air. I’m sure that at some point in your life you will have had a horrifying encounter with a clown who made you a twisted facsimile of some poor, tortured animal using a collection of long, sausage-shaped balloons. Hopefully you will at some point have had a chance to handle said balloons, and attempted to bend one of them. This will have taken some effort; the balloon would have resisted your attempts to bend it, and once you stopped exerting a force on the balloon it would have sprung back into its original sausage shape. The reason this happens is because the balloon is full of slightly-pressurised air. It’s attempting to expand to fill all available space, and the resistance of the rubber balloon to expansion is preventing it from doing so, keeping it inside an enclosed volume. Bending the balloon reduces the volume of air contained inside, compressing it and increasing its pressure – this is why it takes work to bend it, and once you stop doing that work the air will expand again to fill as much space as it can. The sausage shape of the balloon happens to be the equilibrium state where the pressure of the air’s expansion is matched by the containing force provided by the resistance of the rubber sides of the balloon, and so whenever the balloon isn’t being compressed it will always return to this equilibrium shape. The reason this is relevant is that the inner layer of a space suit is basically a giant balloon. It’s a shaped bladder full of air that has a human inside it. Since space is a vacuum, the air inside the bladder will attempt to expand to fill all available space, inflating the space suit and giving it its bulky, unwieldy look. 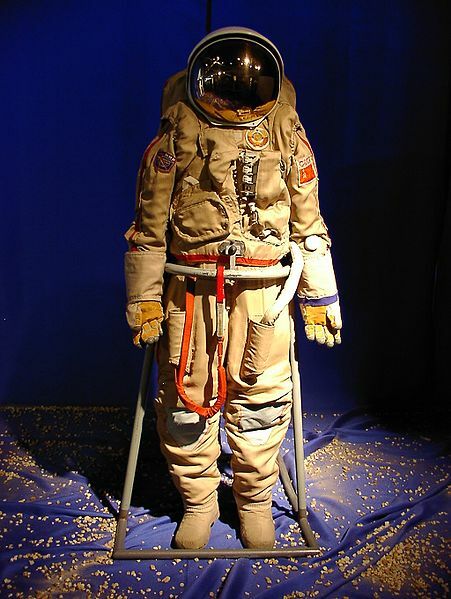 Compare this picture of an Orlan space suit on Earth, where it is inside an atmosphere and is feeling the effect of the Earth’s gravity, to this example of the Orlan being worn in space. It’s the same suit, but it’s visibly inflated compared to the Earth-bound version, and this inflation causes the same problem we encountered with the balloon: trying to move inside this bladder of air means compressing it, which means the astronaut has to exert a force on the suit in order to move it away from its equilibrium state and do anything useful. The amount of work you have to do to move the suit is dependent on the pressure of the air inside it and the change in volume you’re trying to effect with your movement. Since we can’t lower the pressure in the suit (it needs to be an approximation of Earth’s atmosphere in order for the astronaut to, you know, breathe) all we can do to reduce the amount of work required to move around in a space suit is keep these changes in volume associated with movement as small as possible. This is one of the primary concerns of space suit design, then; it’s not getting them to retain an atmosphere that’s particularly a problem, it’s moving around inside this giant balloon full of pressurised air. 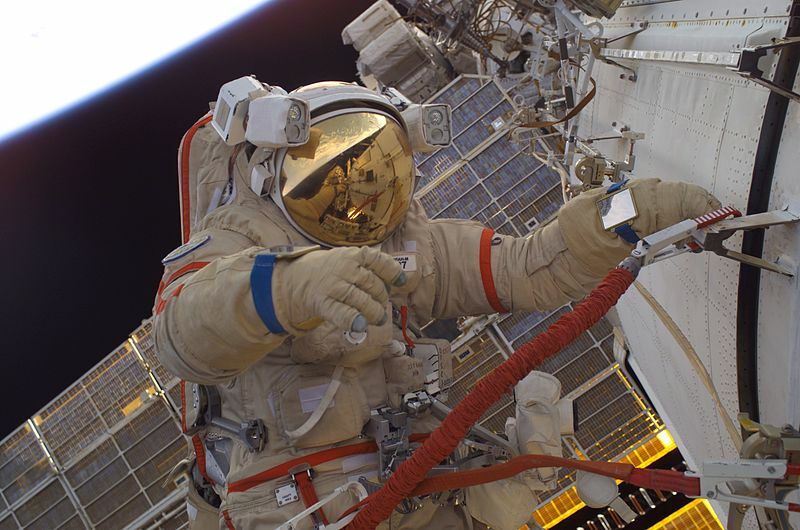 There are several different types of space suit (although most are still on the drawing board) and all of them take this requirement into consideration, with a collection of cunning joints and bearings to minimise the compression of the atmosphere inside the suit and make the astronaut’s job as easy as possible. After all, a suit is no good if it’s too unwieldy to do useful work in, and this was proven very early on in the era of manned spaceflight when the crew of Voskhod 1 attempted the very first EVA. The Voskhod capsule had an inflatable airlock so that the cosmonaut making the EVA – one Alexei Leonov – could get in and out of the capsule without venting his crewmate into space, but after he made his EVA he encountered a tiny problem: thanks to the vacuum of space his suit had inflated to the point where he could no longer get back inside the airlock no matter how hard he tried. He eventually solved the problem by venting part of his air supply into space and shrinking the suit volume so he could fit inside, but this incident demonstrates how things can potentially go very very wrong if you don’t take this sort of thing into account. There are other factors that have to be taken into account when designing a space suit. Temperature regulation is one of the big ones; you may have heard that space is cold, and it is cold in terms of the temperature of the matter you find out in space. However, space is mostly vacuum, and vacuum doesn’t have a temperature due to being nothing at all. If there’s no medium (like an atmosphere, or water) through which you can lose your excess heat you’re not going to lose it at all except through direct thermal radiation, making overheating a serious potential problem. It’s one that is complicated significantly by the Sun, which can heat things up very quickly if they happen to be in direct sunlight. Space suits have to do two things, therefore: they have to keep the internal temperature inside the suit down while isolating the wearer from any external heat sources, hence the thick layers of insulation present on all suits designed for EVA. Finally there’s the most basic requirement of all: oxygen. Having an atmosphere inside the suit is no good if it quickly becomes saturated with exhaled carbon dioxide, so a space suit has to filter the air supply inside it and replenish it with a breathable quantity of oxygen. Astronauts wear special underwear to regulate their temperature while in a space suit which circulates cooling water around their body; this system also captures stray oxygen and carbon dioxide and feeds it back into a life support unit which filters the unwanted stuff out. So that’s what space suits do, and that’s why they look so bulky – it’s the pressure of the air inside inflating the suit combined with the layers of insulation required to regulate an astronaut’s body temperature. 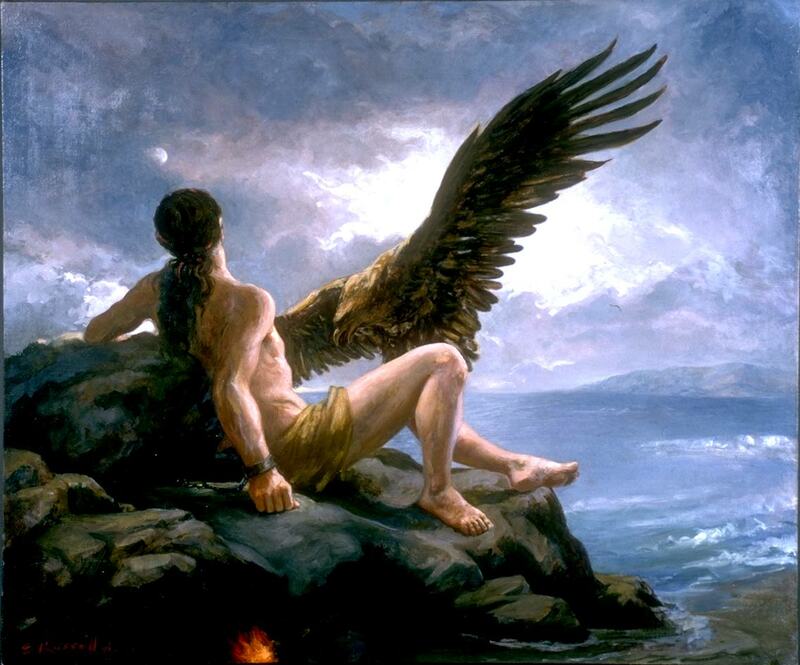 How do Prometheus’s space suits stack up? First off, they are notably form-fitting and non-bulky; while this gives the wearer a great deal of freedom of movement, it makes the suits a poor choice for any work in a low pressure environment. NASA experimented with elasticated spacesuits that would provide a constant compressive force on the wearer simulating the pressure of the Earth’s atmosphere, but what they found was that the suits had to fit the wearer exactly otherwise body fluids (i.e. blood) would start to pool in areas where the suit was “loose” in response to the vacuum environment and the wearer would experience swelling, sores and lesions in that area. Since the loose areas tended to congregrate near the complex contours of the wearer’s groin this wasn’t exactly something a prospective astronaut would be particularly happy to wear. Still, it’s stated that the planet they land on has close to Earth atmospheric pressure, so the suits don’t need to operate in a vacuum environment (although this does beg the question of how they knew they wouldn’t need vacuum suits in the first place). This also somewhat fixes the temperature regulation problem since the surrounding atmosphere will now carry away some of the excess body heat via convection, but it’s never explained how exactly the wearer is supposed to survive in an environment that doesn’t have a temperature range amenable to humans. What if they’d landed on Venus, a planet with a thick atmosphere but which has a surface temperature several hundred degrees hotter than the Earth? They’d be kind of screwed then. 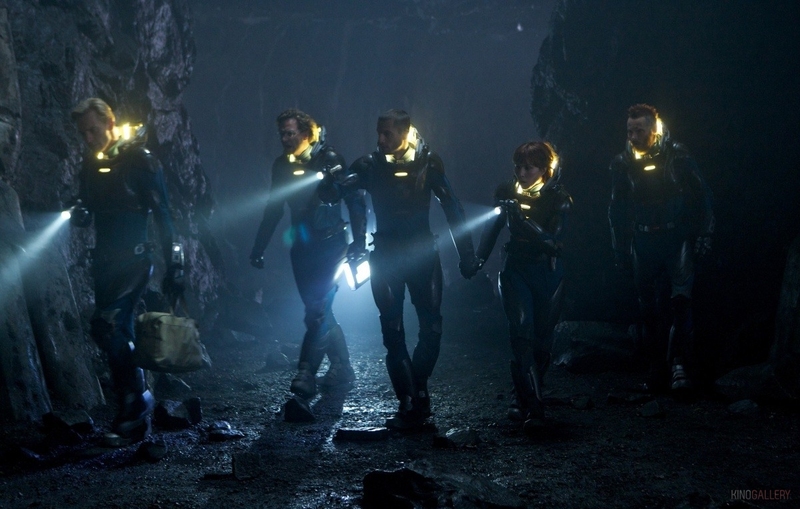 The one area where the minimalist nature of the Prometheus suits helps is the oxygen supply; air only seems to be circulated around the wearer’s head, meaning that there’s a far smaller volume of air in the suit to collect and recycle. However, since the suits are effectively useless at every other thing a space suit is supposed to do (there’s even a shot where Noomi has her gloves off outside the supposedly benign interior of the alien ship) everything that’s not the helmet is pretty much just an attractive coverall. The planet has the same atmospheric pressure as Earth and the same surface temperature as Earth and the same gravity as Earth so they could have achieved the same effect by taking scuba gear to the planet and just walking around in their regular clothes. 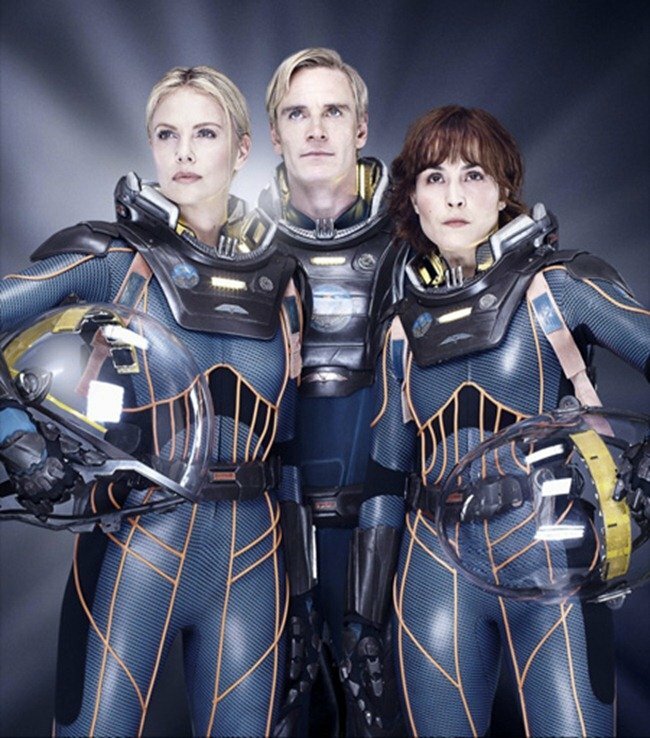 Conclusion: the suits would work, but they’d only work in the curiously serendiptious planetary environment of Prometheus. Odd, that. I haven’t seen this movie yet so there may be critical information I’m missing while writing this reply. I think you are making an assumption (perhaps not unfair) that they know nothing about the planet before the start of the mission. Lets give you the benefit of the doubt here and say they know absolutely nothing about this planet. If this is the case then they really shouldn’t be bringing suits at all. Space vacuum is a harsh environment but if you were to rank all planetary environments by how well they could accommodate humans, space vacuum would probably be somewhere in the middle (earth-temperate on the “best” end, high pressure/high temperature/highly corrosive/high gravity on the “crap” end.) Point being; you shouldn’t assume that even an EVA suit is going to help you when you are trying to land on a planet like Venus. What they should have brought was a smaller shuttle aerospace vehicle they could have all gotten into to do the nitty-gritty exploration. Now all of the above aside. Lets compare this suit to the good old EVAs. You briefly mentioned the compression suit R&D that has been going on. There are problems with this suit like what you mentioned. The last I read about it though, they were able to create some what of a “one size fits most” suit that could potentially get the job done. The problem was that they need to get compression equal to 1/3 atm and they can only get to around 1/8 atm or so. If they could achieve this however, the compression suit would be as effective in a vacuum as the current EVA but offer far better articulation and fidelity of movement. In a SciFi movie about the future, this is something I wouldn’t have a hard time giving a pass to. I wasn’t aware they were continuing to do research into compression suits, actually. Also I don’t particularly have a real problem with Prometheus’s use of space suits (if I did, I would have mentioned it in my first post). It’s one of those things you just accept in order to facilitate the story, like artificial gravity or ftl travel. I just thought it would be an interesting thing to talk about in the context of the film. I totally agree with you on the shuttle thing, though. At the very least they’d need both in order to do any serious exploration. Is there not a shot of the spacesuit room thing that shows a whole collection of types? I’m sure I remember seeing a big red one. I’d imagine they brought different types of suits for different planets but didn’t think they needed a line in the film to say that because it’s not very interesting to the average viewer. There is a shot of a room with 2 big red ‘old school’ eva suits. In any case, loved the post, wasn’t aware that freezing wasn’t an issue in space but it makes sense now.